After Kohli made the Stokes comment, Pakistan journalist Fazeela Saba was left unhappy. Hardik Pandya played an exceptional inning against the Australians. During the first ODI at Chepauk, the Aussie bowlers dominated the proceedings as they sent back 5 Indian batters for the score of 87. They were on top when Pandya entered and he just took the game away from them. His innings was the turning point for India as his 83 of just 66 deliveries helped India go past the 280 mark. He was absolutely fantastic in that inning as he smashed Zampa all around the park. He upped the ante but missed out on a chance to get to his century. Hardik Pandya is an out and out all-rounder. He showed it in the first game when he scored 83 but also picked up two crucial wickets. He sent back the ever so dangerous Steven Smith and the inform Travis Head. These wickets were extremely crucial as the pair could have taken the game away from India really quickly. His recent performances have earned him a lot of praise. Captain Virat Kohli also praised him for his fantastic performance and also compared him to Ben Stokes. Stokes has been in phenomenal form and has been very consistent. However, one Pakistani journalist disagreed with the Indian Captain. After Kohli made the Stokes comment, Pakistan journalist Fazeela Saba was left unhappy. She believed that Hardik has a lot of proving to be done at the highest level and his comparison to Stokes is not valid. She tweeted her opinion and was brutally trolled for the same. Her view on the matter was not accepted and her being from a rival country further intensified the trolls. 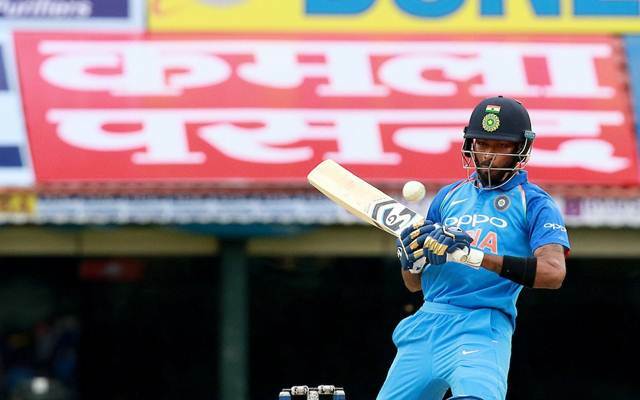 Saba tweeted, “Pandya undoubtedly is the upcoming multi-tasked player in cricket but his comparison with Ben Stokes by Indian media seems unjustified.” This sent a ripple through the Indian fans as they took her apart bit by bit on the internet.